Eventually for sure but how could we know? They will once they'll stop supporting Kepler hardware. Which will probably happen around the launch of next GPU family - the one after Turing. is really 660 series that old? Seven years for 600 series and six years for 700 series this spring. It'll be around (supported by driver updates) for another year or so I guess. I still have my 660gtx sitting in box for day I need a back up card cause card need to be replaced, I still have my 450gts from evga, which is being used by my dads pc, Which I will never get rid of, cause it carries the same lifetime warranty that mt 9800gtx had as the warranty transferred to 450gtx I got from the RMA. complete with the paper saying 9800gtx lifetime warranty transferred so when thay 450gtx I get new card. though I doubt they will transfer the warranty again. This driver was seriously over-hyped. It was not worthy of the press release to herald its arrival. The score did go up just a tiny bit more, but yeah... still nothing to get too excited about. Less than 2 FPS change with this new driver. That said, going up a tiny bit is definitely better than the score going down a tiny bit. So, that's nice. Even a small change could mean a few extra points on HWBOT. There are no new settings in NVIDIA Control Panel for DLSS. Everything there is the same as before. It actually made more of a difference with Windows 7 than it did with Windoze OS X. Notably more than 2 FPS in Windows 7. Seeing some +5-8% gains in Forza Horizon 4 benchmark here on these compared to 417.75.
chispy, fOrTy_7 and Mr. Fox like this. Rollback to 417.71 fixed the issue. Seems like most issues are only for newer models. 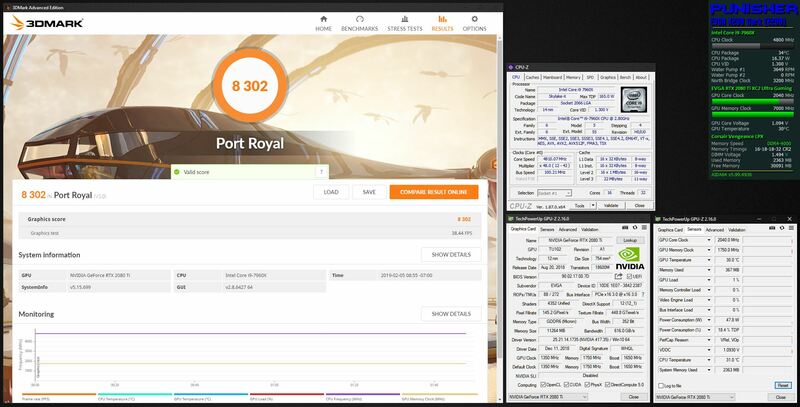 With my GTX 960 I never had any issues. Well, you made the same mistake that I did first time. 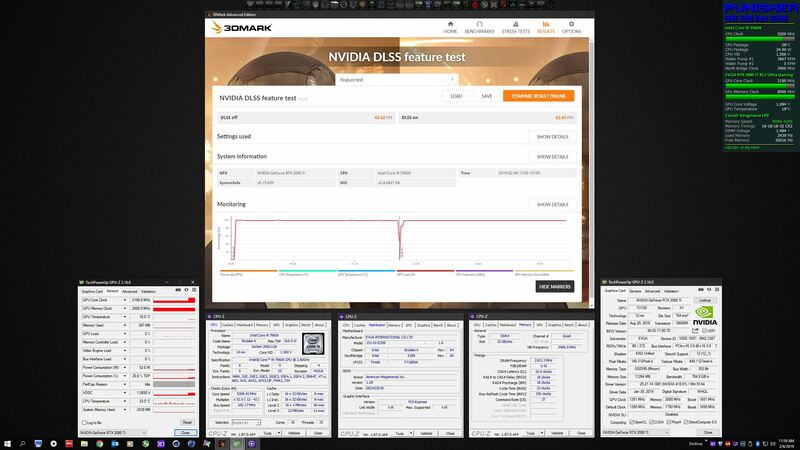 You need to scroll down the bencmarks to FEATURE TESTS, there's a different test, its called " Nvidia DLSS Feature Test", it does two passes of the scene, on with DLSS one without, then it gives you fps diffenrence between the two, it's not included in the "normal" benchmark. I almost doubled my fps on my 2080. You get 6.3% of performance boost in a static benchmark that pushes your GPU to maximum just by software update. It's quite impressive if you ask me. As for DLSS it does not work as regular anti-aliasing. I doubt will ever see a 'setting' in Nvidia control panel. And definitely not for this gen of graphic cards. 1. To make DLSS to work you need an application or game to implement it in its source code. 2. You need Nvidia back-frame (cloud computing) to train and optimize a neural network model for above game. 3. Finally this model can be loaded into tensor cores and fill missing pixels in graphics by AI model running on tensor cores. So this is not something that you can 'force' with Nvidia control panel on Nvidia Inspector. Maybe next gen cards will have a more generic AI models that could work for various games. Mr. Fox and Cave Waverider like this. monitors now wont wake up from sleep. had to hard reset my pc, the result was 4tb worth of torrents now taking who knows how many hours to check. Well at least chromium isn't crashing on me with these! Thanks! I did not see that. I will check it out. That is almost a 50% increase. Well, DLSS is upsampling from a 50% less shaded pixels so somewhat expected. Yes, just stating the increase.